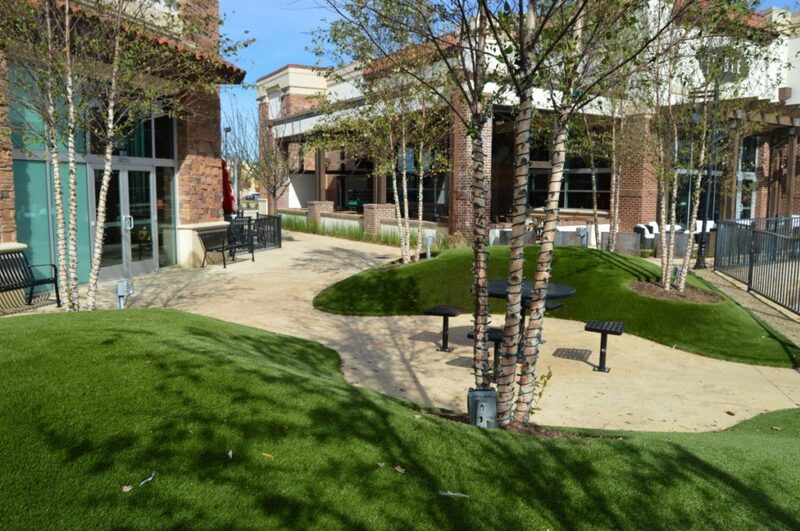 At Synthetic Grass ATX, some of our most notable work is with local businesses looking to get artificial turf. We have done work with schools, event venues, and an assortment of different companies and organizations in Austin. When doing commercial installations, details are absolutely essential to us. If you want to know more about it, give us a call, and we'll be glad to discuss your project! Our team has all of the resources you will need to create a stunning commercial installation that will wow your customers, guests, or employees. We also have experience doing dog parks and pet facilities, so with Synthetic Grass ATX, your opinions are limitless. We have even done commercial putting greens. Just reach out to us, and we can help you with whatever you need!